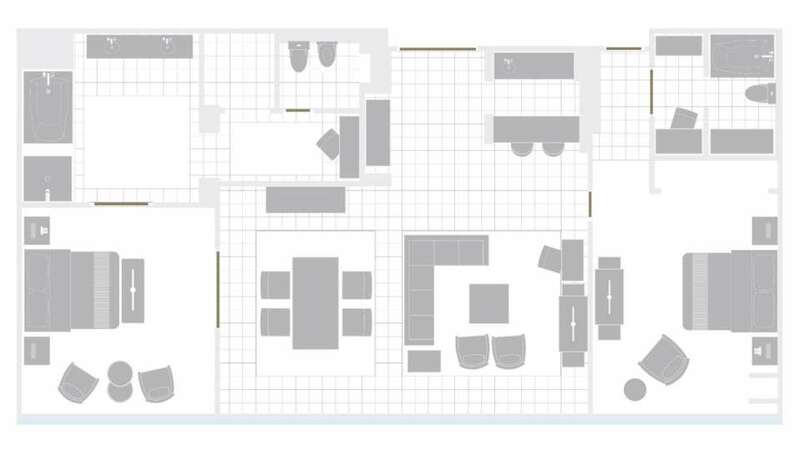 The 1,600 Sq. 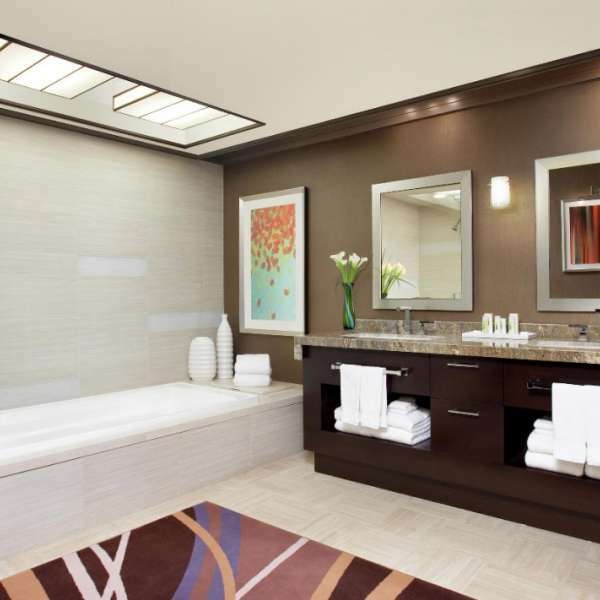 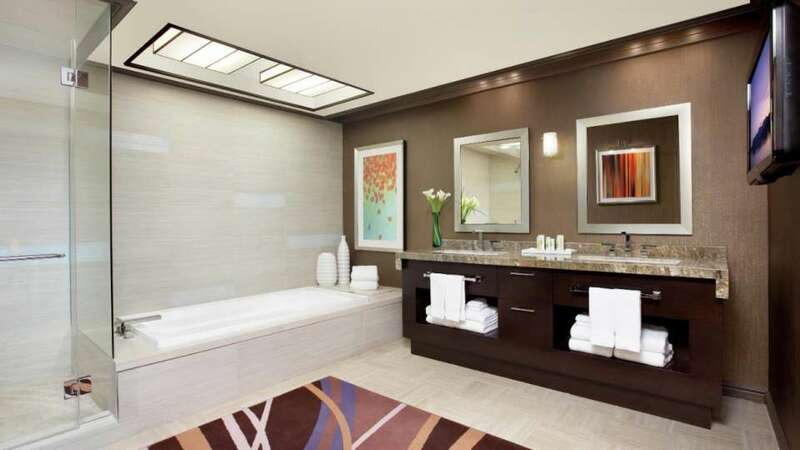 ft 2 Bedroom Penthouse includes all of the amenities and luxuries listed for the 1 Bedroom Penthouse, with an additional bedroom that features a king size bed. 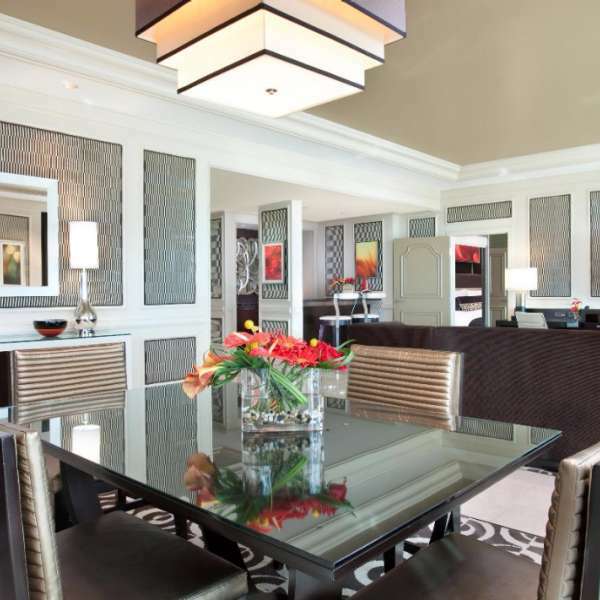 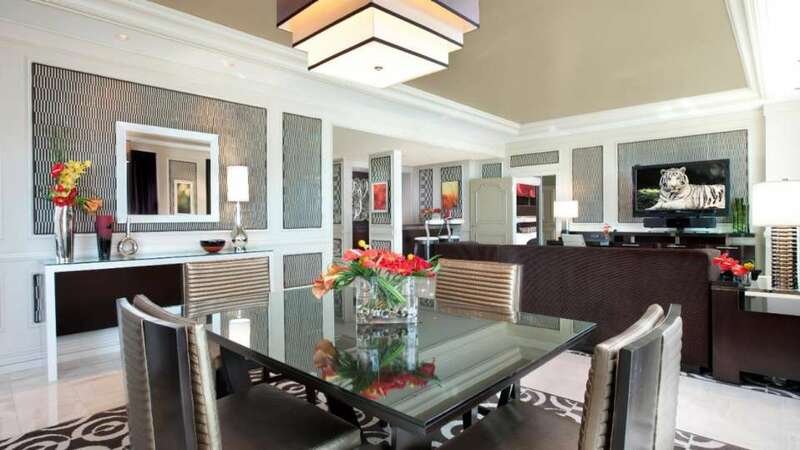 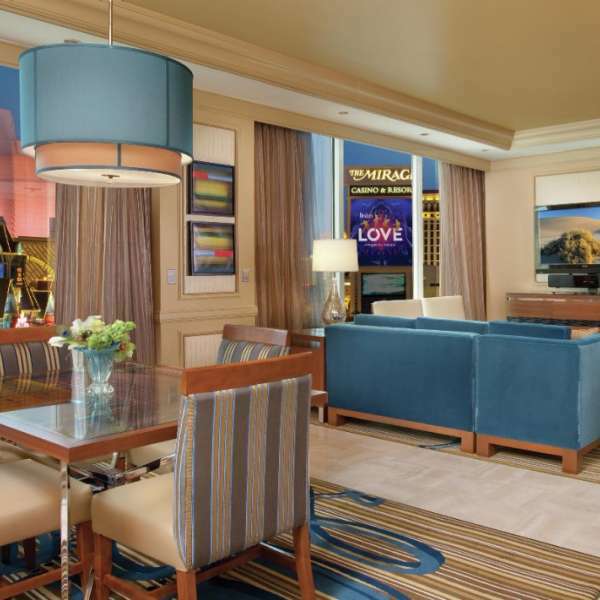 The Mirage Penthouse Suite living room and dining room area. 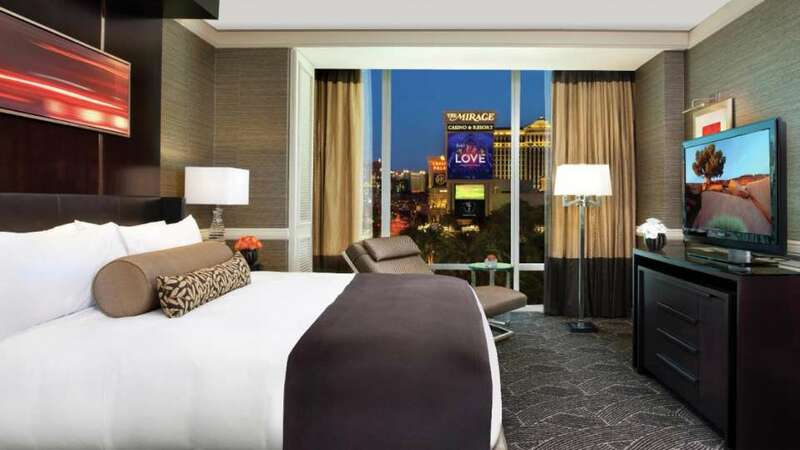 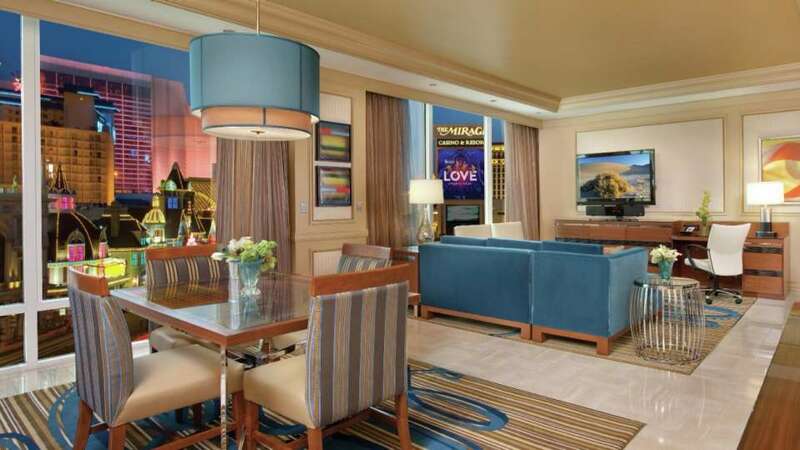 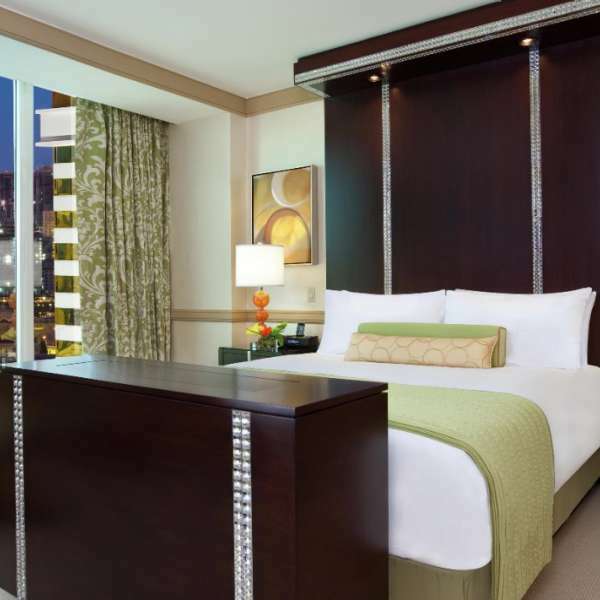 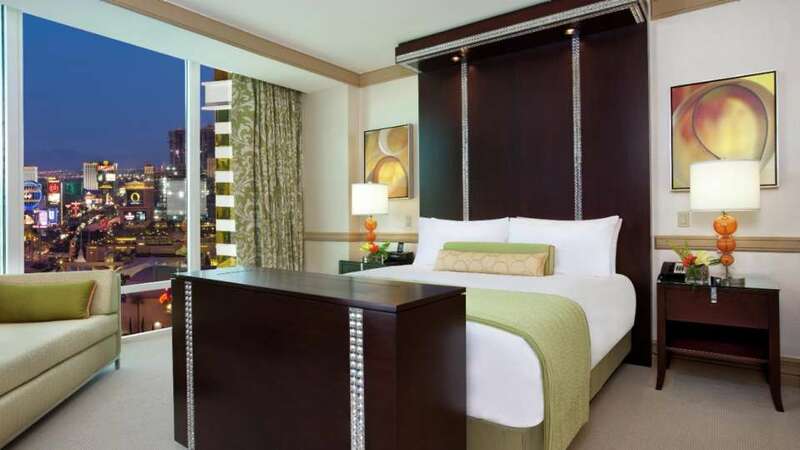 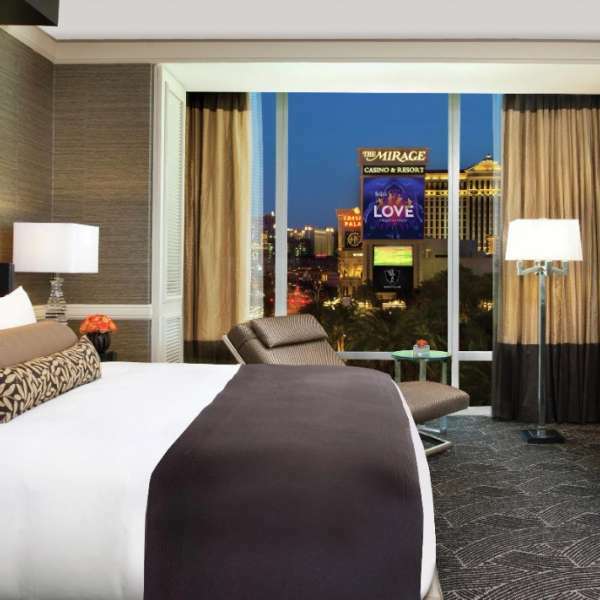 The Mirage Penthouse Suite king bedroom with strip view.